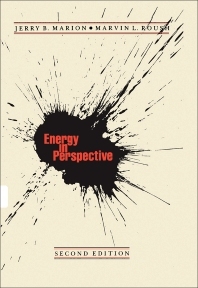 Energy in Perspective, Second Edition attempts to place the energy crisis in perspective and discusses the sources and functions of energy. This book examines the overall situation and explains the short-term and long-term outlook, with emphasis on fuel supplies as well as on energy technologies. Organized into eight chapters, this edition starts with an overview of the way energy consumption affects the environment. This text then discusses the distinction between energy and power and examines the primary connections among the various energy forms. Other chapters consider the magnitude of the industrialized world's consumption of energy. This book discusses as well the different categories of energy usage, which includes transportation, residential, commercial, and industrial. The final chapter presents the time schedule for the various developments in solving the impending crisis in energy. This book is a valuable resource for teachers and students who are interested in the study of energy sources and utilization. How Do We Use Our Energy?